Jordan Williams, one of the up and coming skateboarders of Salt Lake, is making a scene on and off his seven ply maple deck. An avid golfer and bowler, Jordan is a talented young individual who is going places in this world and he’s not even old enough to drink. I sat down and chatted with Jordan and his fifteen-pound custom bowling ball, “el Diablo,” during some pin action at the local Bowlarama. We got the chance to talk about his rise to stardom in the skateboard world, his life and his future. 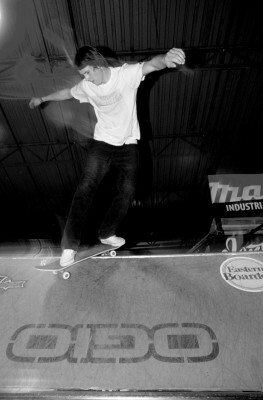 Although Jordan’s team won the tournament let me skip to the good stuff, his skateboarding. Jordan is sitting pretty with top-notch sponsors (Matix, DVS and OGIO) that are sending him all around the US to compete in amateur competitions. 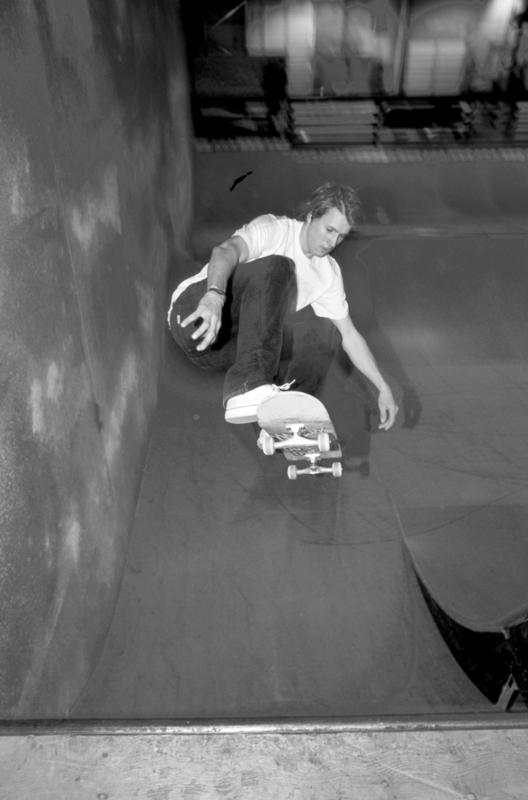 He has natural ability and I was glad to hear that he had put off his LDS mission to pursue his skateboarding career. Jordan is an extremely humble fellow and I was pleasantly surprised at his comments about the moment he realized he was becoming known for his skateboarding. “The first autograph I signed was at Phoenix AM the very first year I went, four years ago when Binary first started. Some kid comes up to me and he’s like, ‘Can I have your autograph?’ I had a broken wrist and just finished my run, so I gave him my autograph. I was all nervous and all scared,” He said. You can learn a lot about a person in ten frames of bowling. I had no idea Jordan had moved to California after he graduated high school to go live the skateboarding dream, or that he once had to ollie Big Buddha on a live show at the OGIO warehouse. We finished up a few more frames and decided to call it a night. I would definitely keep a look out for Jordan in the months to come. There is no doubt that he will be going pro in a year or less, maybe even sooner. Oh and can you believe he doesn’t have a board sponsor? Somebody needs to hook this guy up.